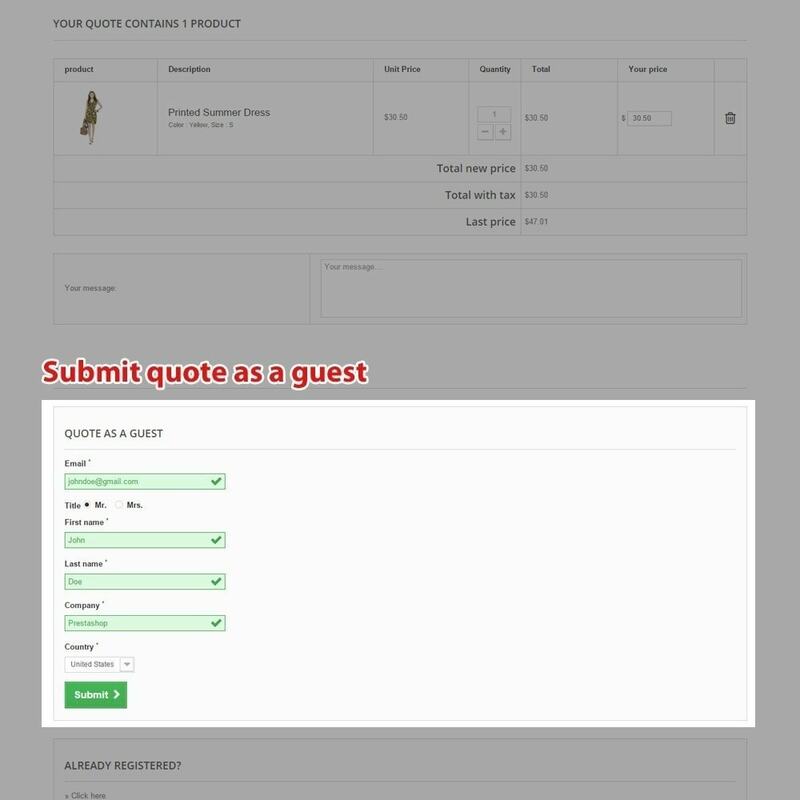 When accepting quotes from guests, probably, shop owners want to get rid of complex steps and make it fast and simple to get it done. 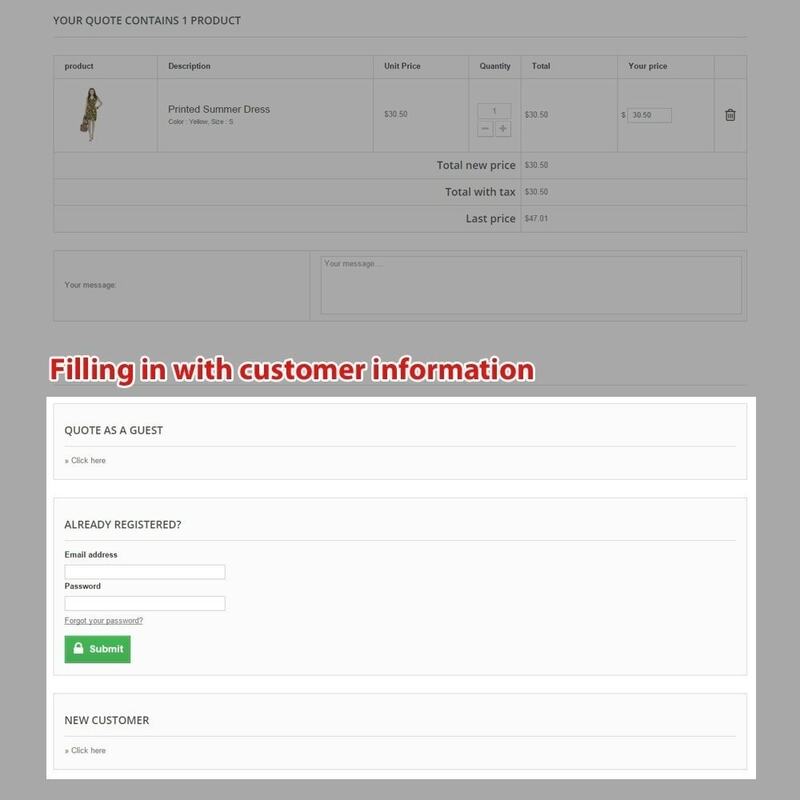 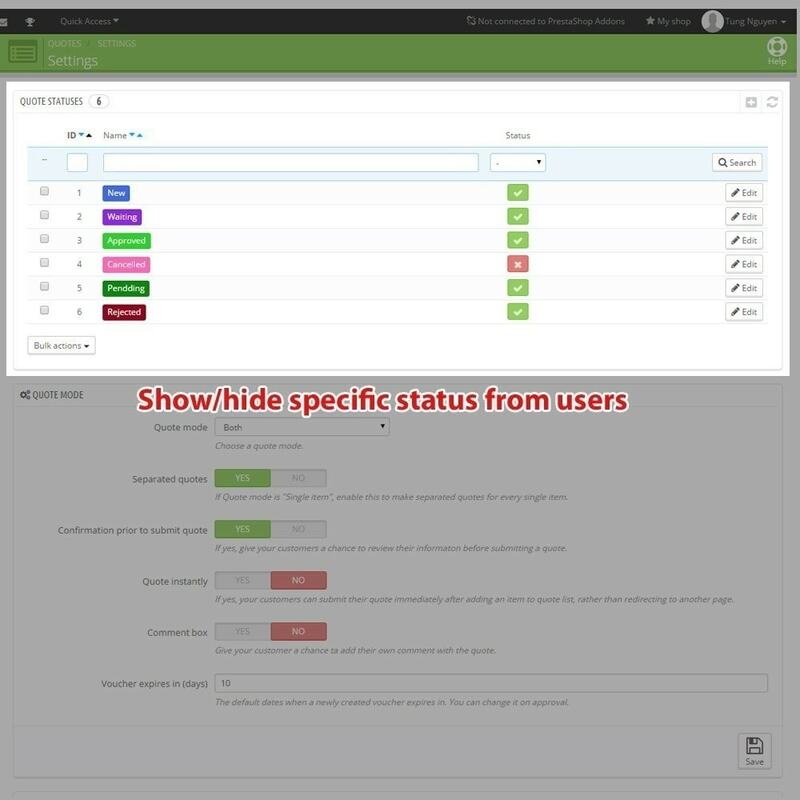 Custom fields are well designed so that we can decide what kind of info we should collect from visitors. 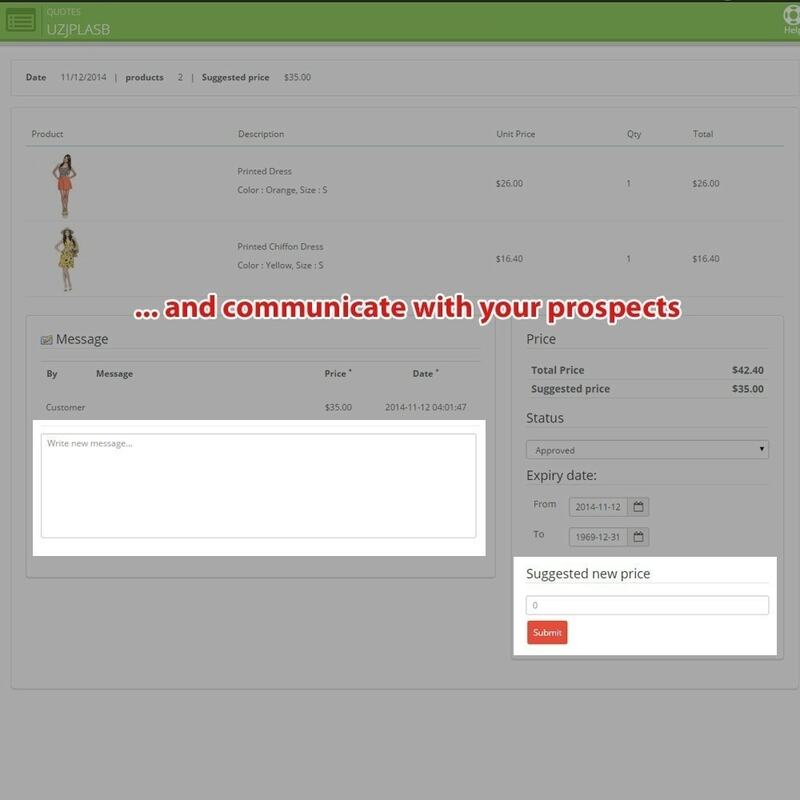 In the simplest form, only email is asked. 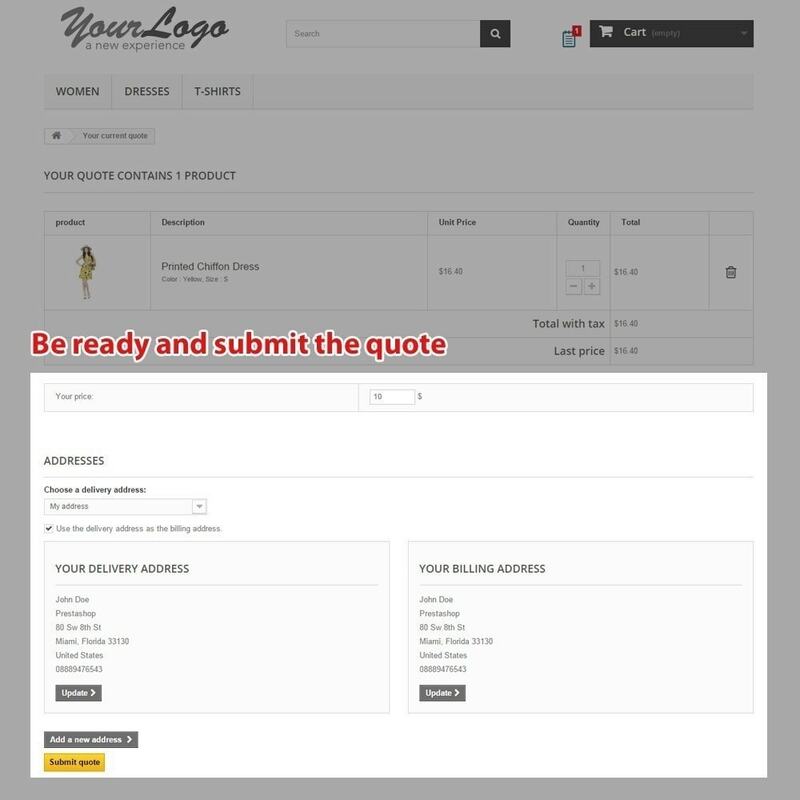 Other custom fields available include title, first name, last name, company, country, and postcode. 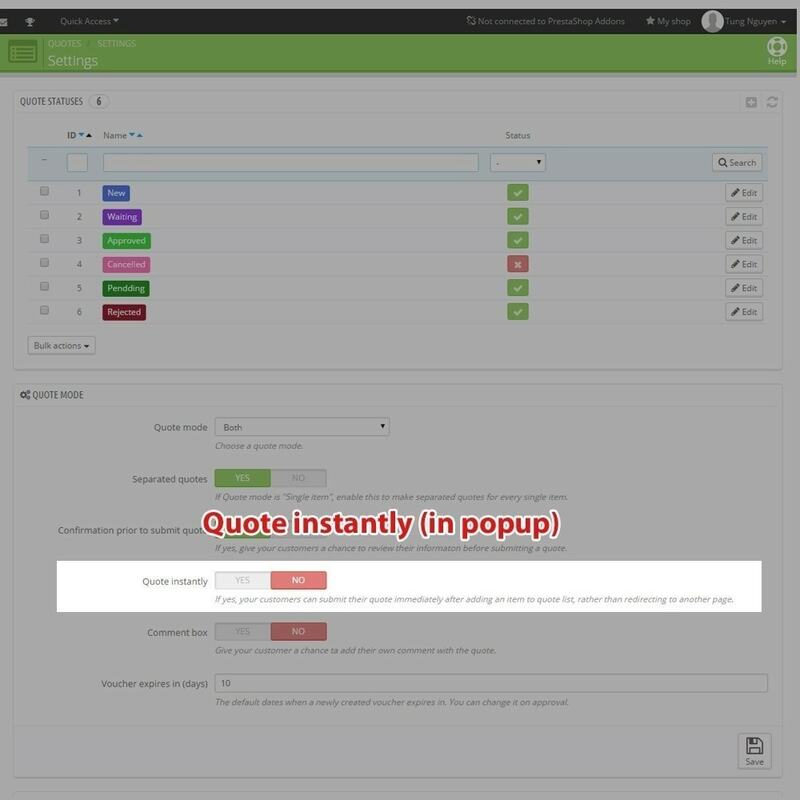 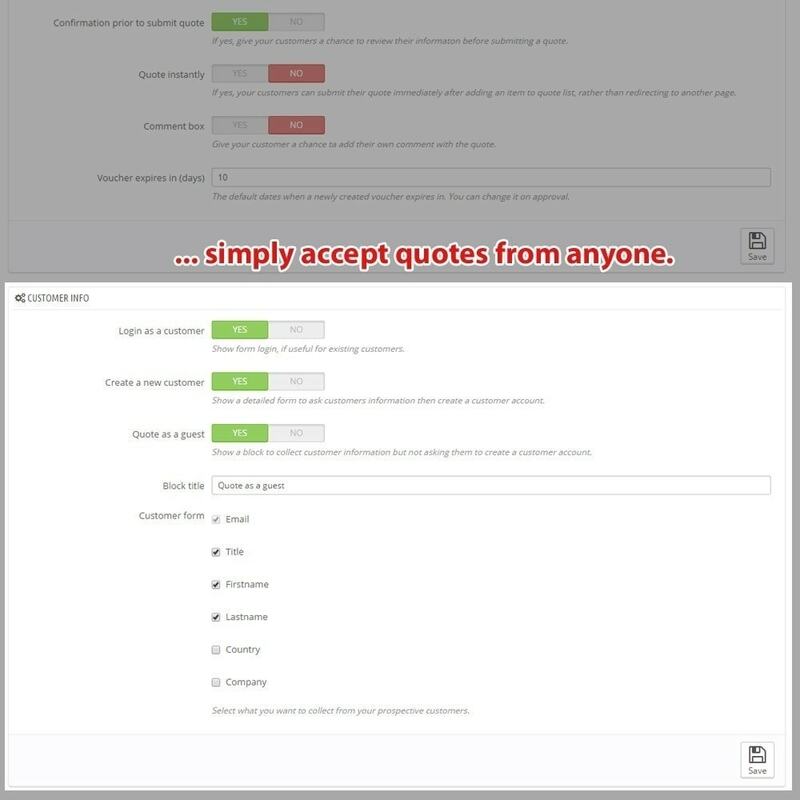 Especially, since 1.6, Quick Quote Tool is transformed to a shipping module. 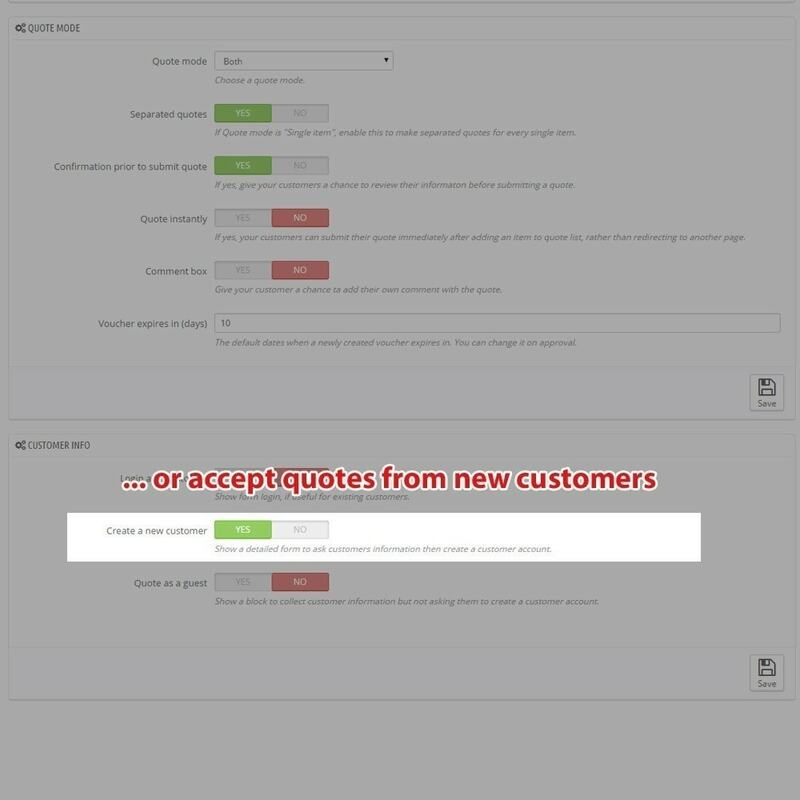 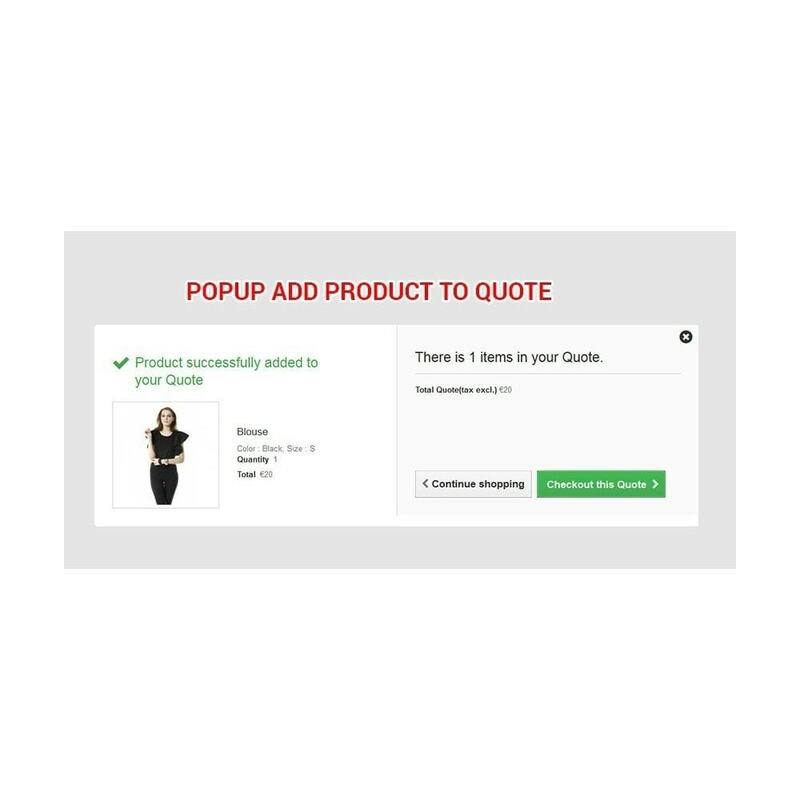 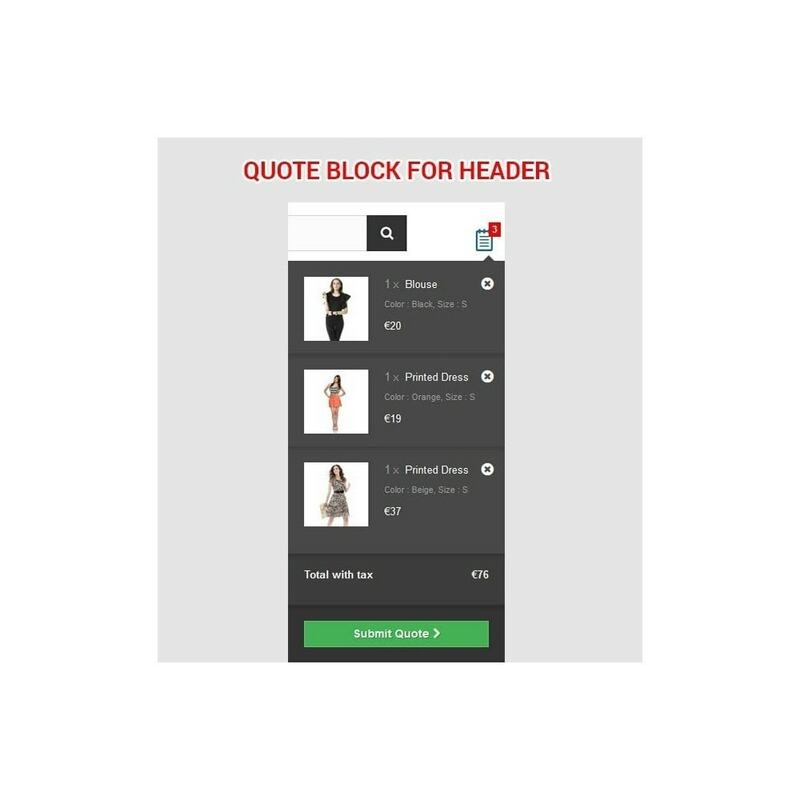 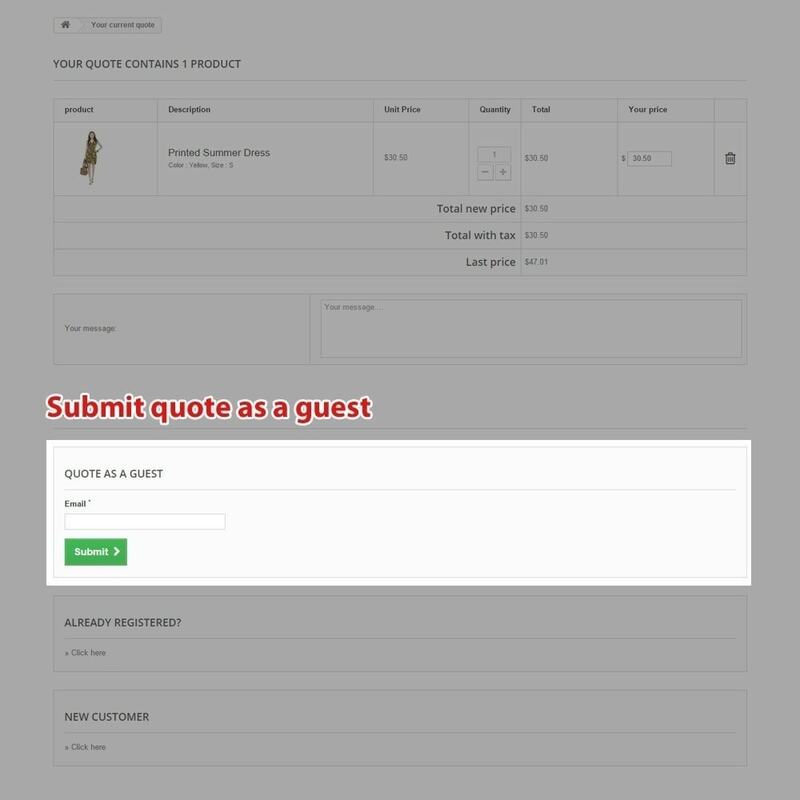 Thanks to this amazing feature, you can quote on shipping cost, not only on products. 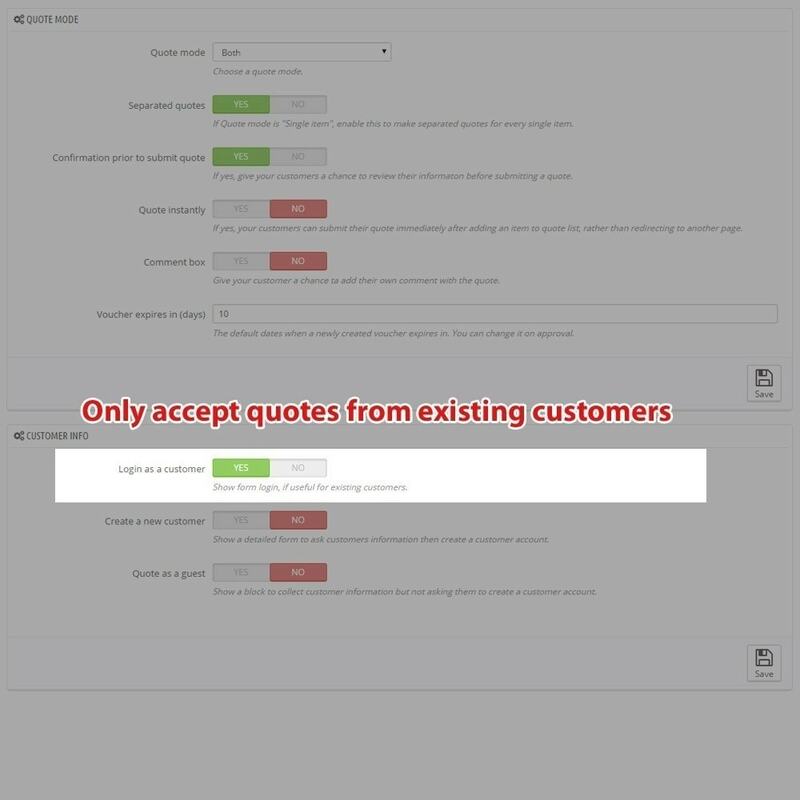 Also since 1.6, you can give a quote which is even higher than the listed price. 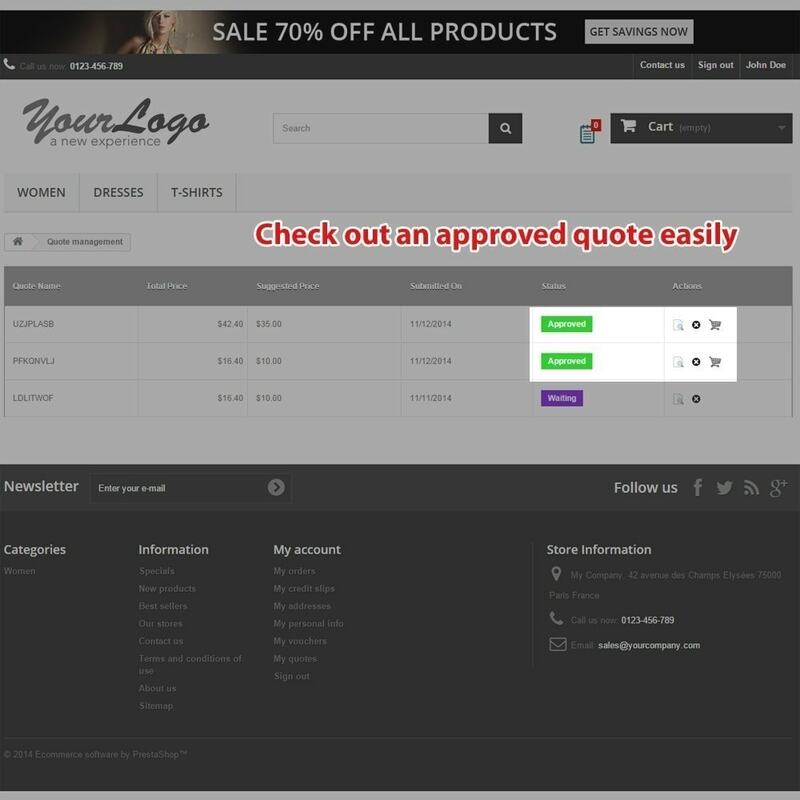 It's really useful when the final products include custom works. 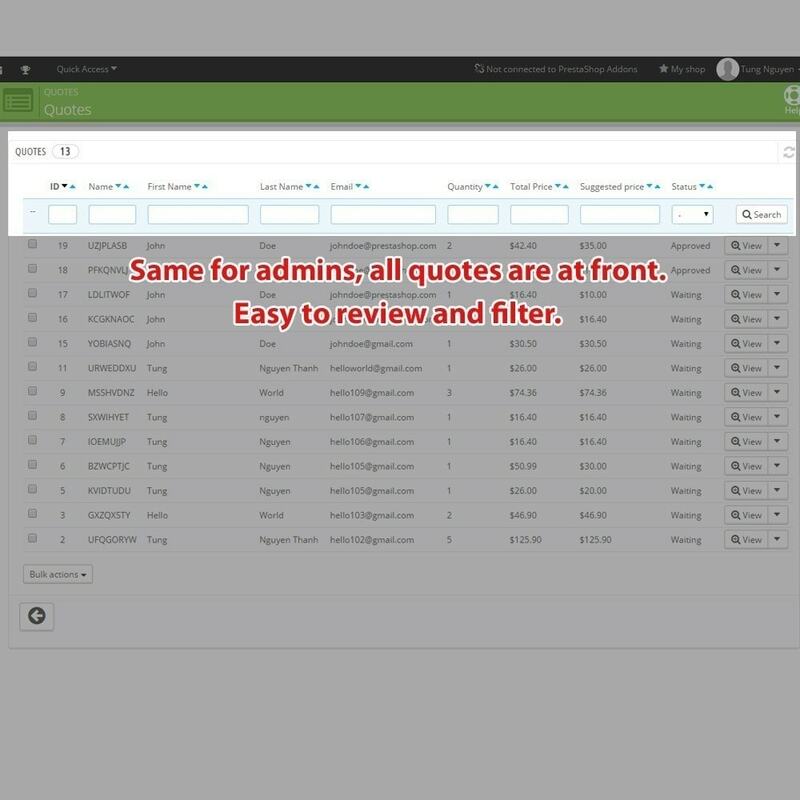 Если вы не показываете конкретную цену или используете режим каталога вам обязательно нужен этотмодуль.Он позволит получить обратную связь с клиентом. 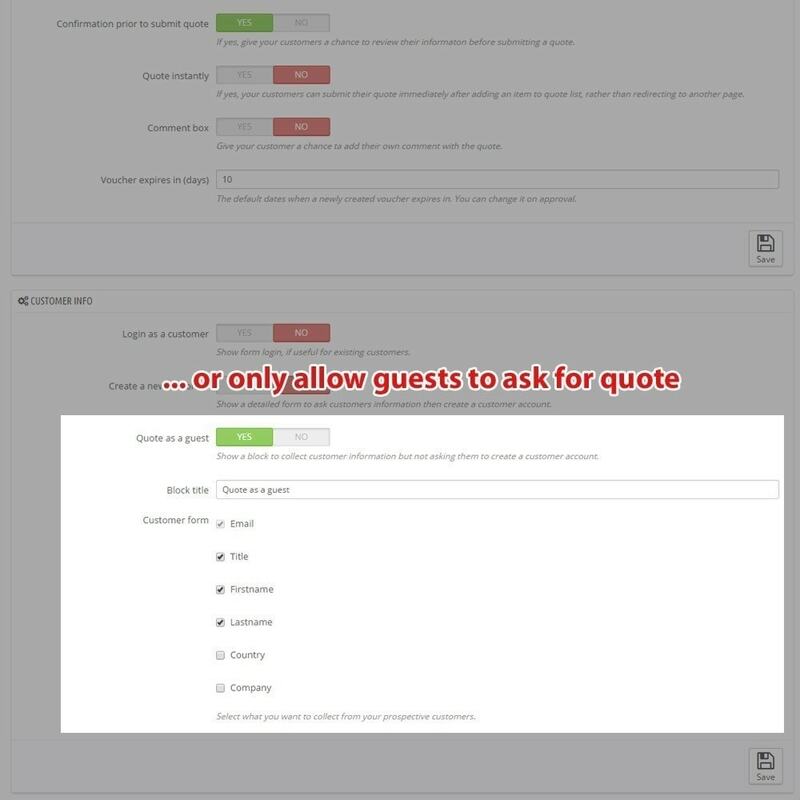 [Fixed] Does not show the quote button in the filter products page (with page number > 1) on Prestashop 1.6. 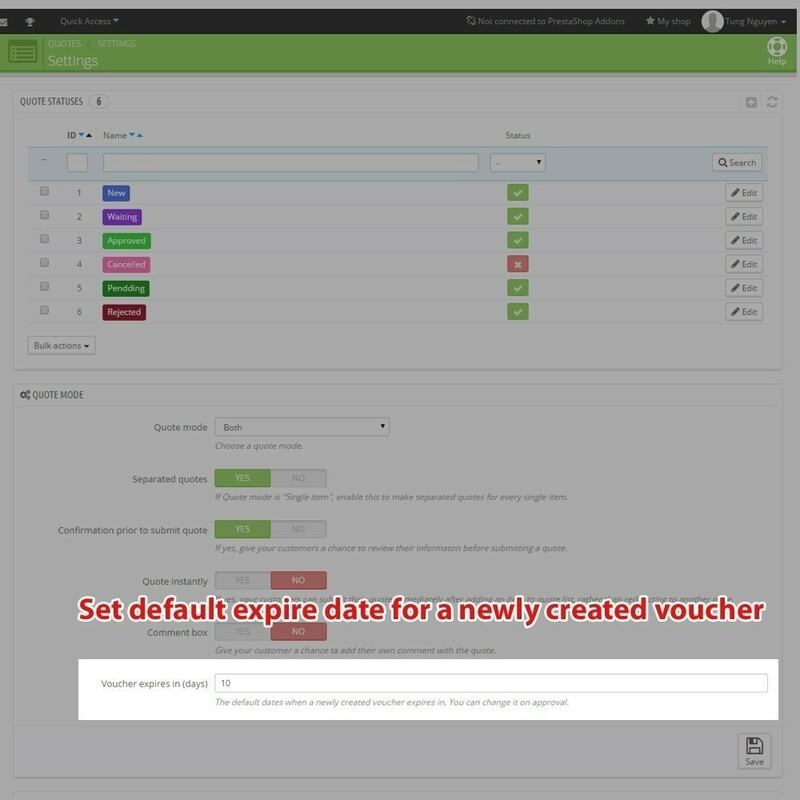 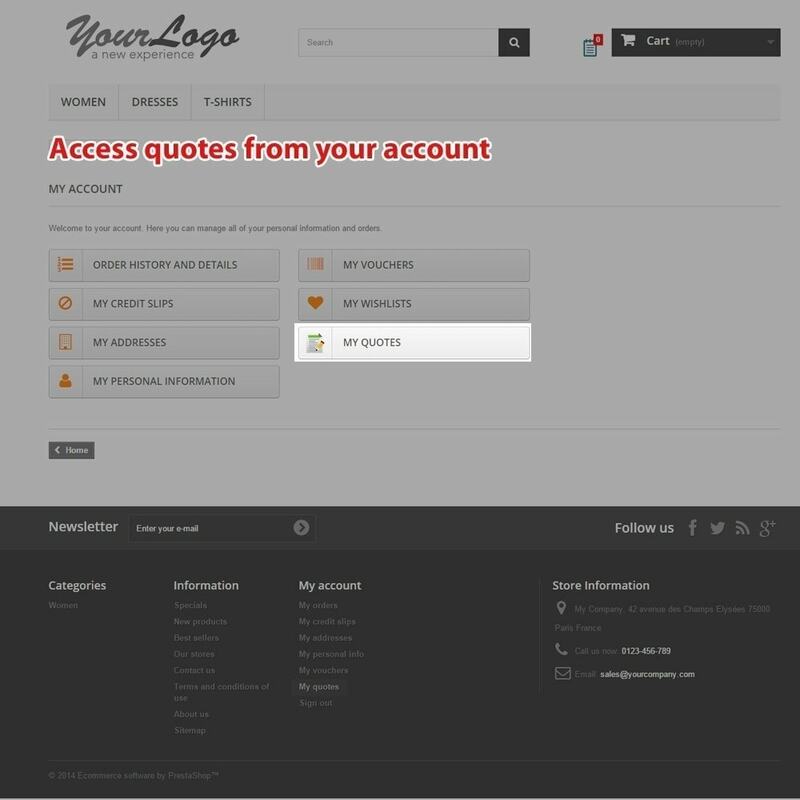 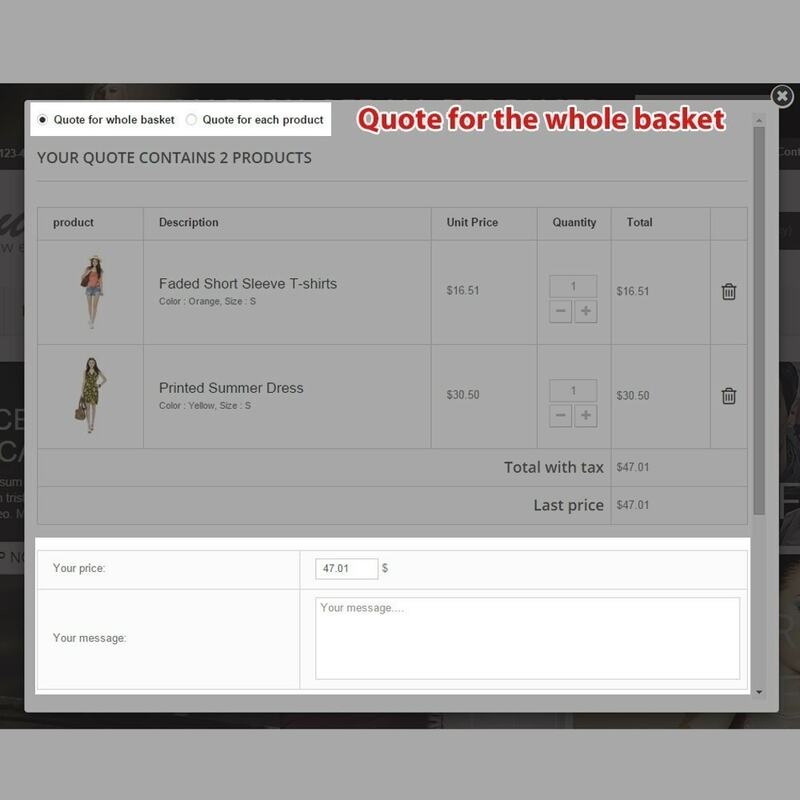 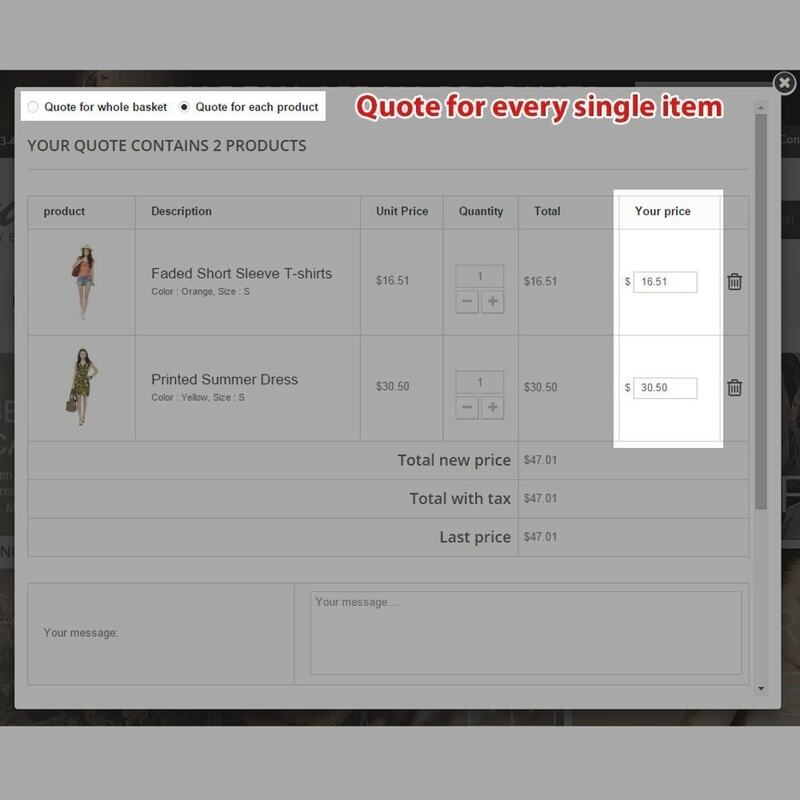 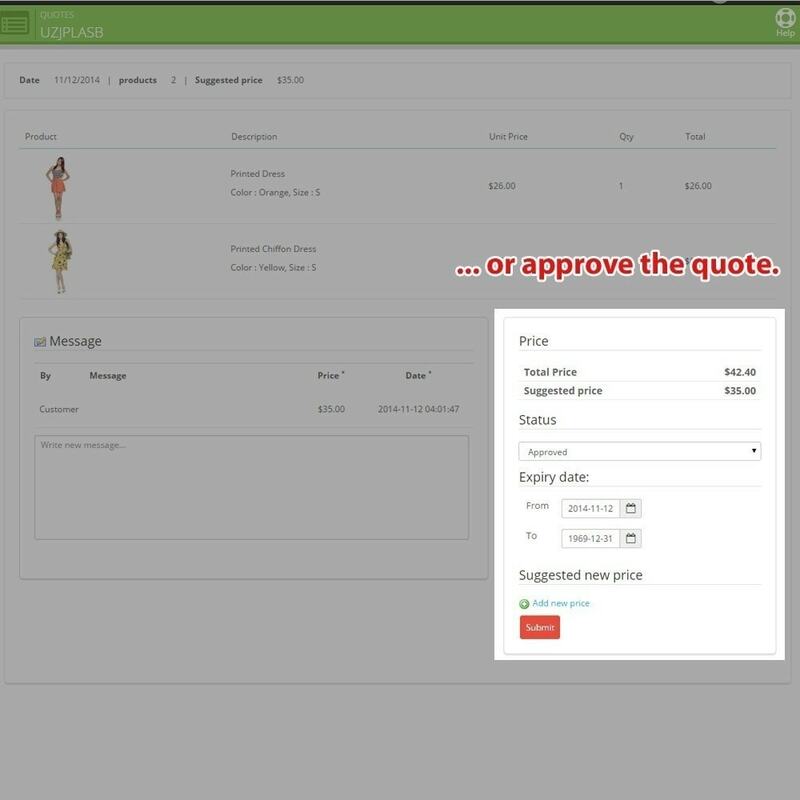 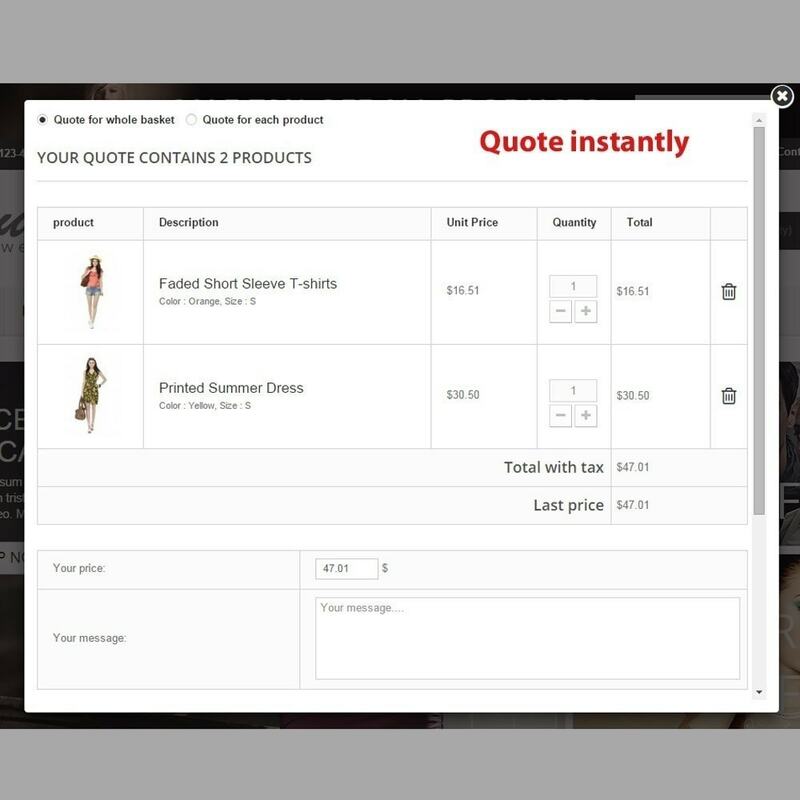 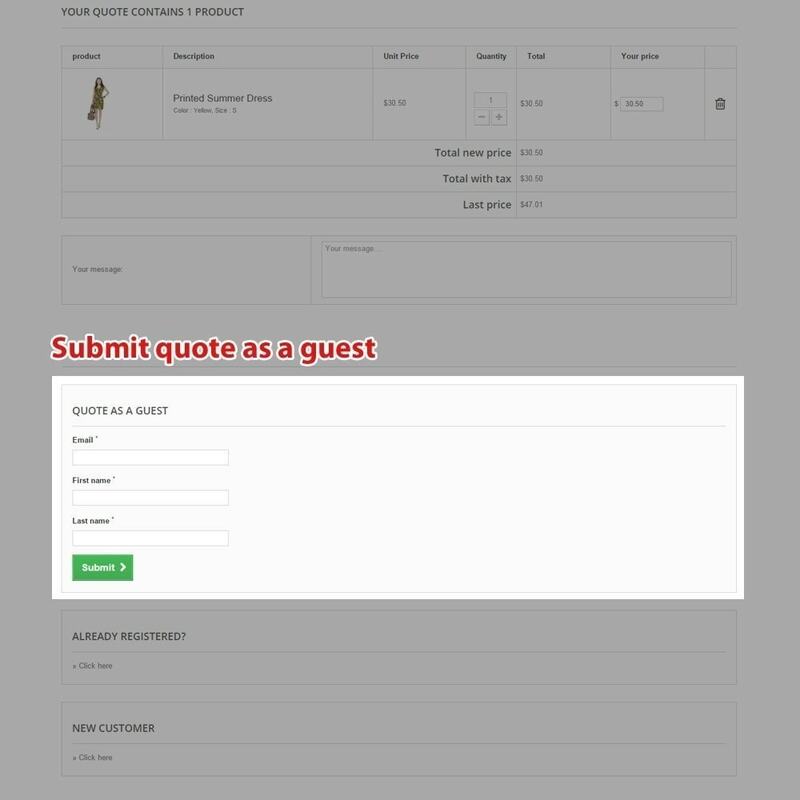 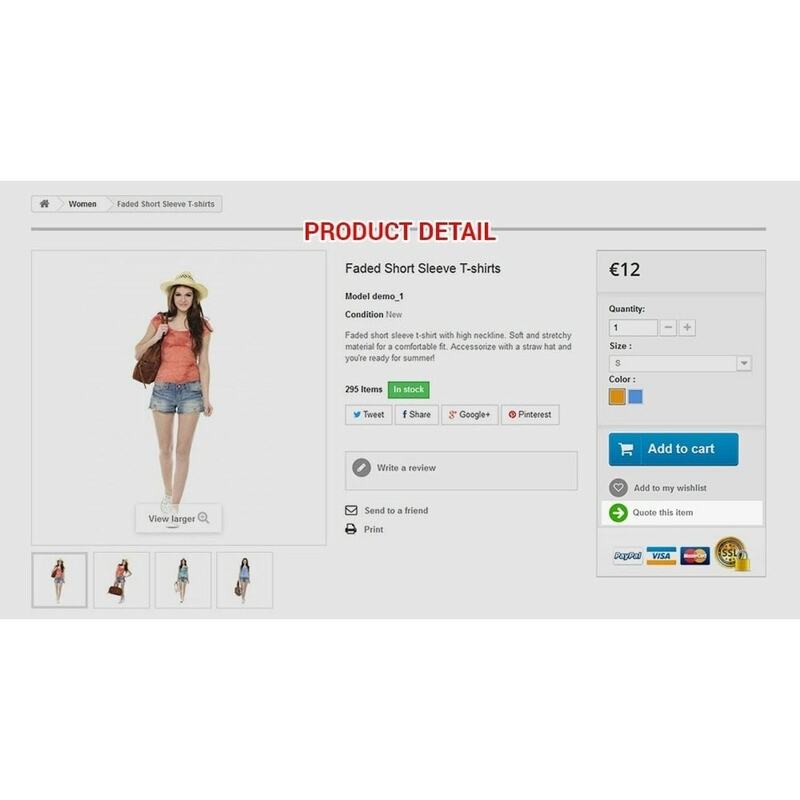 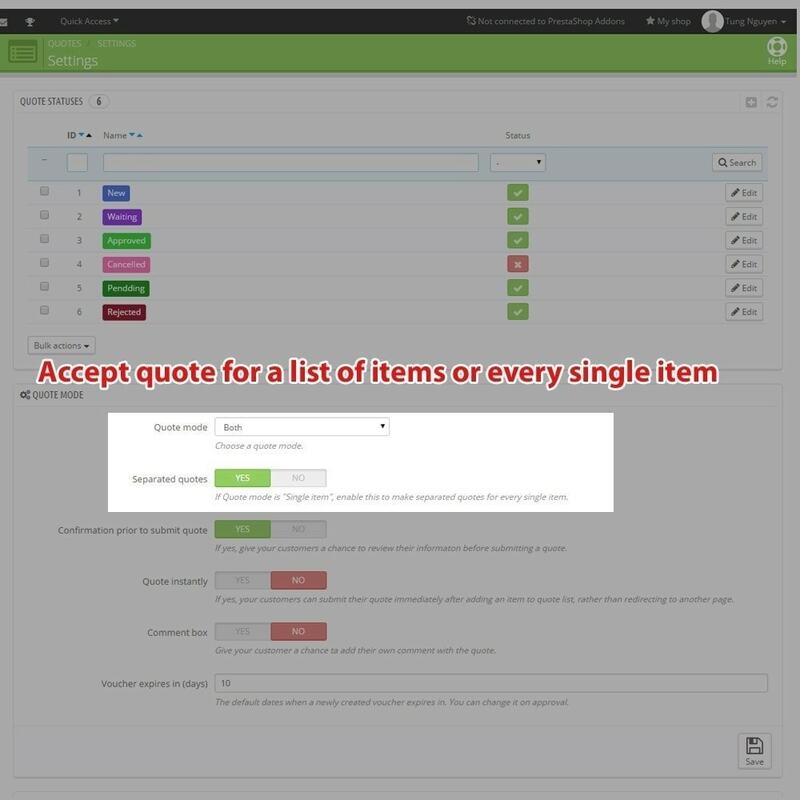 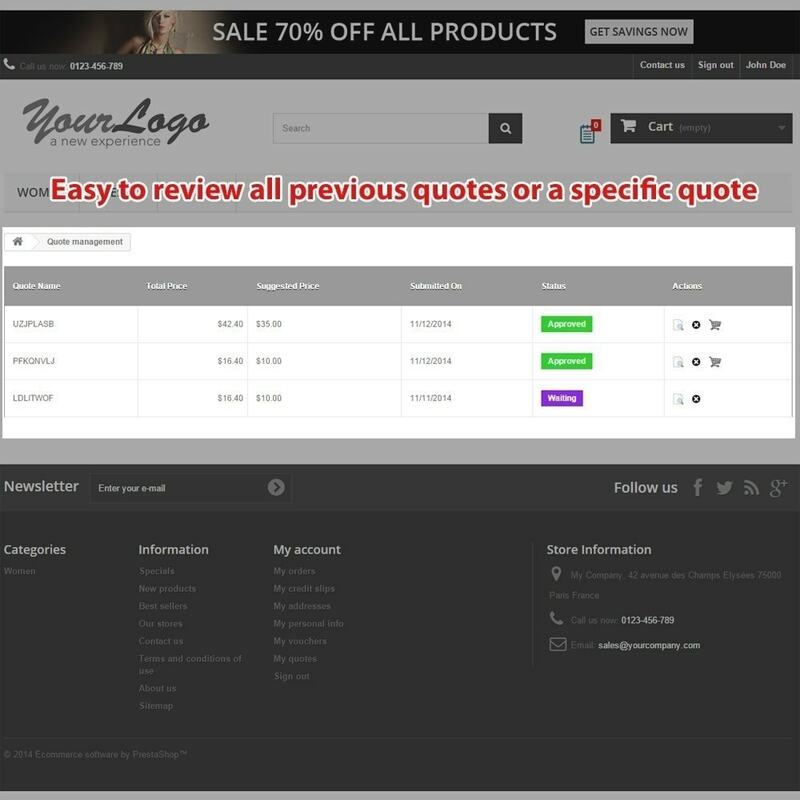 [Fixed] Does not add product attribute to quote on Prestashop 1.7.